Evanthia Reboutsika has been chosen by N.G.D.A. 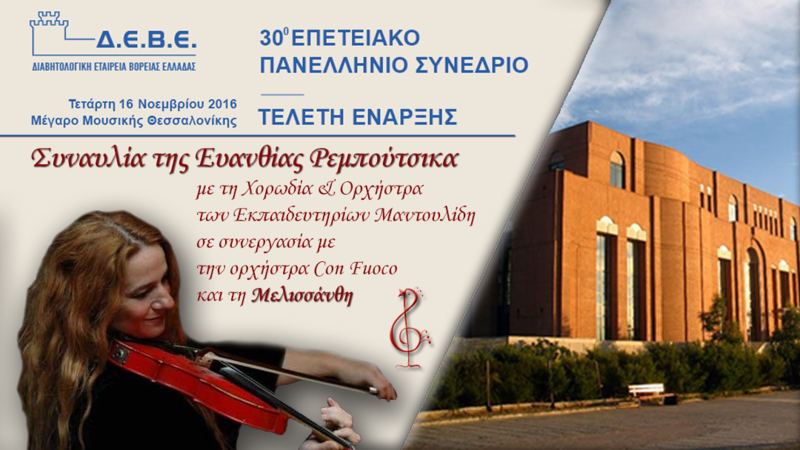 for their 30th Anniversary Panhellenic Congress that will take place on Wednesday, 16th November, 20:00 at Thessaloniki Concert Hall. At the concert part the audience will have the chance to enjoy Evanthia Reboutsika with Mandoulides Schools Orchestra and Choir, in collaboration with the Thermi Municipality Conservatoire Orchestra “Con Fuoco” and Alexandria Municipality Children’s and Youth Choir “Melissanthi“. Arrangements are made by the orchestral ensembles’ condactor, Ioannis Polymeneris, and the choral teaching by Eleni Theodoridou. The entrance is free to the public. To attend the concert register here (or scan the QR Code). You’ll need to show the printed invitation or the verification email of your registration. For those that are not able to attended the event in the Concert Hall, they may watch live the whole opening ceremony and concert on N.G.D.A.’s web channel or on Livemedia. The event begins at 20:00, and the concert at 21:30. You can see or download the complete schedule (in Greek) here. 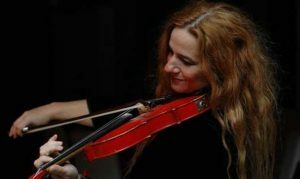 Tagged Con Fuoco, Eleni Theodoridou, evan, Free, Mandoulides Educators, Melissanthi, N.G.D.A., Thessaloniki.